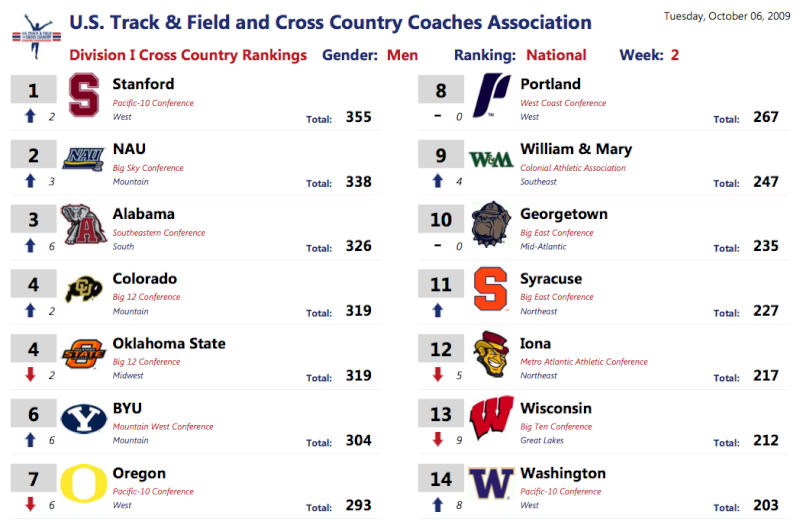 Despite placing 4th at the U of O meet last week, the Pilots retained their place in the national poll released today (October 6). They remain 8th in the nation. Oregon drops to 7th.